Home Climber Makes Amazing Discovery and How that Discovery Can Help You. Climber Makes Amazing Discovery and How that Discovery Can Help You. Biologist Karl Jurak loved all sports. His favorite being mountain climbing. Often, due to a medical condition, his sports were interrupted by episodes of severe weakness and lack of oxygen. Jurak pledged that he would never climb again until he had found a solution to his health condition. Jurak was a brilliant man. Many patents were registered by him, such as a freezing process to preserve vegetables from prematurely rotting; the inventing of acrylic paint to replace the poisonous oil paint fumes; the mechanism placed in vehicles to reduce gas consumption while driving; all still in use today. For eight months he used his scientific knowledge of plants to develop a herbal formula to enhance well being. Jurak researched a variety of herbal formulations, experimenting with many molecular patterns. Exhausted one evening; Jurak left the lab and fell into bed; hoping a solution to his formula would be there the next day. Awakened by a vivid dream, “lit up like a neon sign”, he later said, a specific formulation was embedded of his mind. Immediately he wrote it down to preserve its precise accuracy. At the lab he combined this formulation… “Here was exactly what I needed!” he said. Jurak tested this new formula on himself. Over the next few days, his friends, family and peers noticed such a difference in his energy and clarity of thought, they asked for a sample! 1924 and the Km formula was born. People who tried his new formula reported to him how great they felt all over as he did. Many people wanted to continue using it. Juak continued to produce the formula in small batches even after he moved to Canada in the 1940s. During the 1980s, Jurak met Robert Bolduc, a businessman. He immediately saw the potential of Km, and how it could impact the lives of millions. 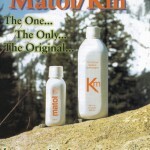 In 1982 the MATOL/KM Company was founded and produced Km on an industrial scale. Matol sold around $600 million of Km (1) globally over the next 10 years. Analysts said “you simply can’t sell that much product unless there is something really special about it”. Sincere gratitude of hundreds who experienced the benefits of his formula followed, reporting significant improvement to their health and well-being. 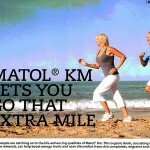 Today that formula is known as Matol/Univera ® Km, and it is available for you to try here. J.F.Robert Bolduc, who speaks here about Matol, was amazed of the health benefits of herbs in Matol® first hand. He decided to make this extraordinary supplement available to people everywhere. 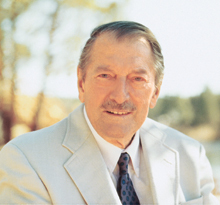 Bolduc founded Matol Botanical International Ltd., with a corporate mission to ‘impact world health’. An award-winning company with over 25 years experience, Matol continually strives to develop and produce the highest quality products possible using state-of-the-art production facilities to ensure the highest standards of purity and safety. As of August 2011, over 48 million bottles have been sold world-wide. In 2009 Matol Botanical International was acquired by Univera, Inc., a Washington state-based pioneer in the development and distribution of scientifically-validated and vertically-integrated natural health product. Univera produces some of the most cutting edge supplements in the world, including Xtra. Head Office Sanctuary Health & Nutrition Ltd, Cardiff. Healthcraft in Scotland. Contact us if you would like to stock or promote Km in your area.